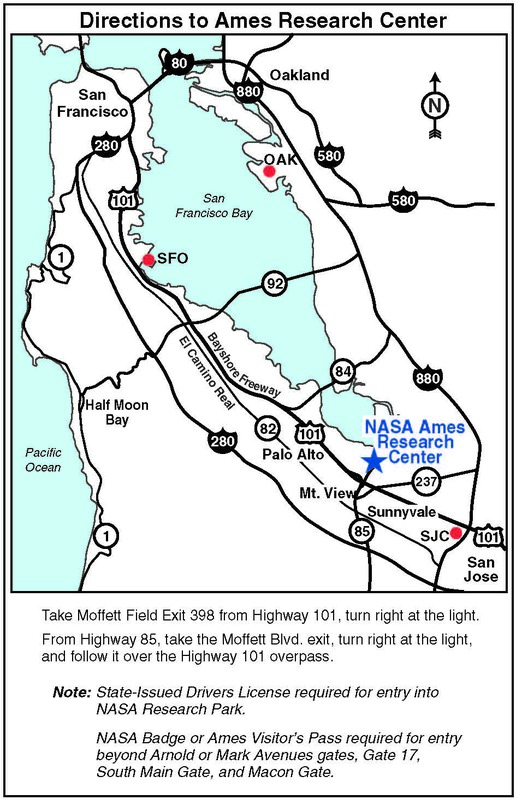 Take Moffett Field exit 398 from Highway 101, turn right at the light. From Highway 85, take the Moffett Blvd. exit, turn right at the light, and follow it over the Highway 101 overpass. 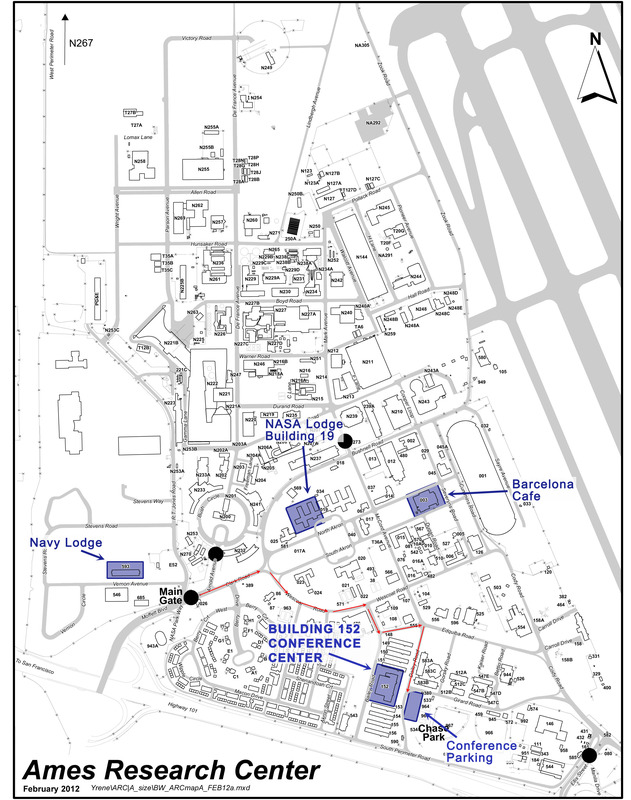 At the main gate to NASA Ames Research Park, show a state issued driver's license to security to gain admittance. Once through the gate, continue onto Clark Rd. Take a right on Wescoat Rd. Take a right on Dailey Rd. The Building 152 Conference Center will be on your right. Parking is available across the street from the Conference Center and in parking lots off of Girard Rd. Mountain View has several good restaurants that you can read about here. 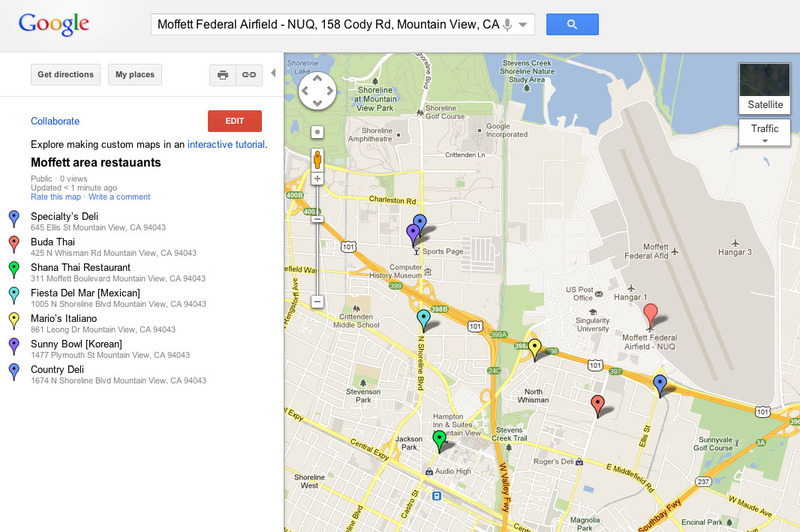 On the map below are listed a few recommended restaurants that are close to the meeting and are not in Downtown Mountain View, which can get very busy during lunch time. Click the map below to open it in Google Maps. (1) There will be no video, webex or telecon communications for this science meeting. The agenda will cover science results from the HS3 2014 deployment as well as planning and coordination information for the closeout of the project. We will be collecting presentations prior to talks and loading them on a central computer. After the PIs have given authorization, presentations will be posted on the website and meeting minutes distributed. (2) We have two small breakout rooms that will be made available for side discussions.